Every home should have a media room. Most have family rooms but that small flatscreen TV by itself just won't cut it if you're someone who's serious about Sunday Football, has a favorite Netflix show, is an action movie nut, or if you want that emersive gaming experience. We're here to turn that average family room into an exciting media room. 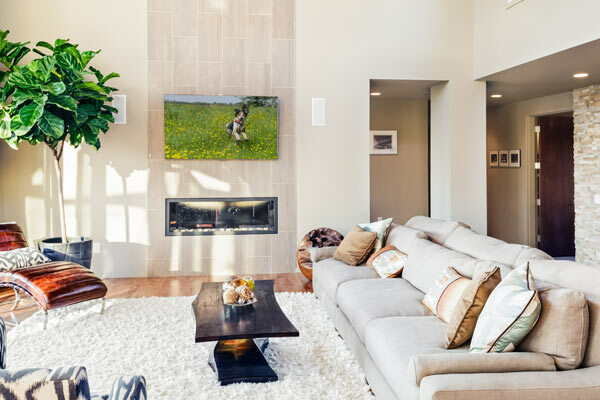 We can help professionally install that new 4K TV above the fireplace, install clean flush mount in-wall speakers and even hide all the wiring and equipment in a nearby closet using RF controls. And no one likes dealing with 5 different remotes. Ask us about the single-remote solution that eliminates the clutter and simplifies your media experience.